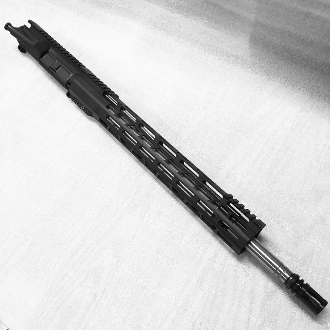 Complete your Ar15 build or upgrade your current Rifle with this Stainless 18" upper. It features a 18" Rifle length hbar Wylde barrel which will shoot either 556 or 223 ammo just fine. The 1:8 twist is great for a wide range of available ammo. The 15" lightweight Mlok rail has plenty of room to mount all the accessories and gadgets you need. All uppers are professionally assembled and inspected. BCG and charging handle available in drop down menus.